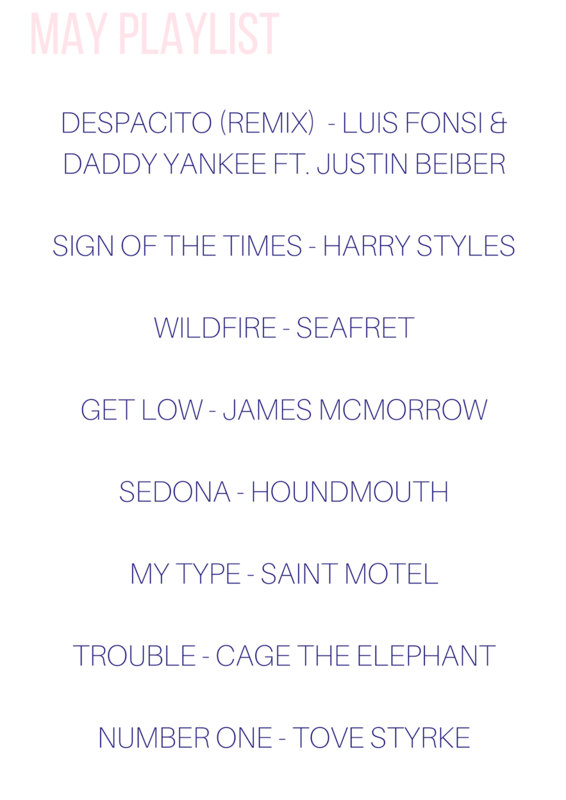 This playlist features some new hits like 'Despacito' from Luis Fonsi , Daddy Yankee and Justin Beiber & how can we forget stud Harry Styles. His album has been on repeat the last few days. I've also binge watching 'Riverdale' on Netflix and the music selection is amazing. I already knew some of the songs and artists featured on the show, like 'Trouble' by Cage the Elephant, but I love discovering new artists. What have you been listening to? Let me know in the comments!